This bush shelling bean is excellent for use in soups. 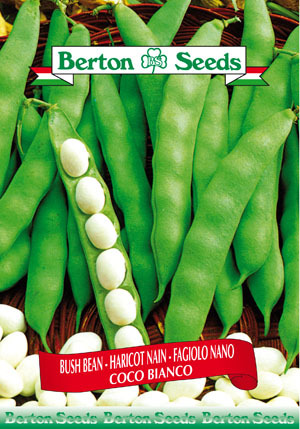 Pods are 5-6 inches long and beans are white. Sowing instructions: Plant seeds 1 inch deep and 2-3 inches apart. Sow in rows 24-30 inches apart. Matures in 65 days.